Outfit planning app Chicisimo – Available for iOS and Android. Yes. If you wonder how to wear black, combining it with black for a total black outfit is a good decision. Because most of the times we wear black, we combine it with black itself. In fact, total black looks awesome on you whatever your style is, whatever the occasion. Search for “totalback” in the outfits app Chicisimo to get the best ideas from real women. Outfit planning app Chicisimo found that white is the most popular color to wear with black… other than black itself. In fact, half on the times we wear black, we combine it with white. And it looks stunning! Download the Chicisimo outfit planner app for IOS or Android. 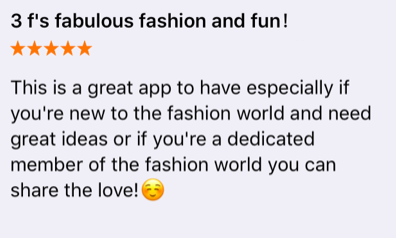 And if you need information on how to start with the Chicisimo fashion app, please check this previous post. We’ve been thinking a lot about online marketing for fashion and outfit planning. 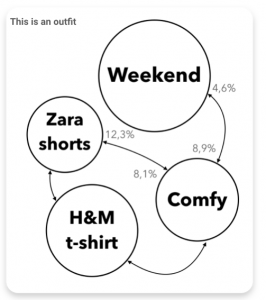 We’ve been wondering how virtual closets will impact the way people decide what to buy. We’ll be sharing our thoughts as we move forward.